In Fowler's Modern English Usage, (H. W. Fowler, Second Edition, Oxford University Press, 1965) he explains that ambiguity "... misleads the reader only momentarily, if at all, but makes him think the writer a fool for not being able to say what he means." Fowler goes on to say, "... the purpose of this dictionary is to help writers to express themselves clearly and accurately ..."
Organizing ideas is the essence of writing, but when we talk about writing, our discussions usually focus on the how: rules, conventions, and techniques. We rarely pay attention to the what: having something to say that's worth saying so you can deploy all the rhetorical tools in the how toolbox to say it clearly. 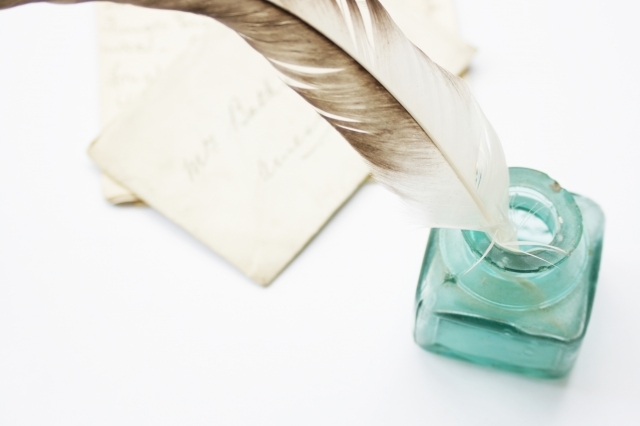 Why do we avoid giving advice about the substance of someone's writing? The practical answer is that the what of writing is really an editorial concern. Most of us who give writing advice usually have neither the time nor the expertise to critique a piece on its merits. And of course when we're talking about fiction we're picking our way through the swamp of subjectivity. The tension between form and substance is an ancient one that likely goes back much further than Socrates' famous complaint about the schools of rhetoric that taught students how to win arguments without regard to the merits of the case. But form and substance are really two aspects of the same thing: if you have nothing to say or if you say it poorly it will mean nothing to your readers. Good writing begins with a clear understanding of what you mean to convey, and is demonstrated through your ability to say what you mean. As people who work with words, we understand how important it is to use the right ones. There are, for example, some circles where traditional means, “time-tested values,” not, “hopelessly stuck in the past.” But the real problem with the label, “traditional,” isn’t whether it implies the business model is good or bad but that it doesn’t accurately describe the business model. Major commercial publishers are, “trade publishers,” because they published to the book trade. They sell their wares to booksellers, not readers. Consider the problem of children’s books: children don’t buy books. Thanks to the inconvenient fact that very few children have disposable income, essentially all children’s books are purchased by well-meaning adults. This means that the book must appeal not only to the child for whom it’s intended but also to someone in the circle of adults with an interest in supplying that child with reading material. It’s not uncommon for the two constituencies (children and adults) to have very different reasons for choosing a book. Booksellers, of course, want to sell books. The ideal book for a bookseller is one that every reader will want. Readers want to buy books that will entertain, educate, or provide an experience. The ideal book for a reader is one that speaks to his or her specific needs and desires. Absent that ideal book, readers choose the ones that seem to best suit their needs from what’s available. It’s not uncommon for the two constituencies (booksellers and readers) to have very different reasons for choosing a book. Booksellers order the products they resell from trade publishers. Trade publishers don’t deal directly with readers. That means trade publishers are primarily in the business of convincing booksellers to offer their wares to the reading public. Convincing readers to read their books is at best a secondary concern for trade publishers. 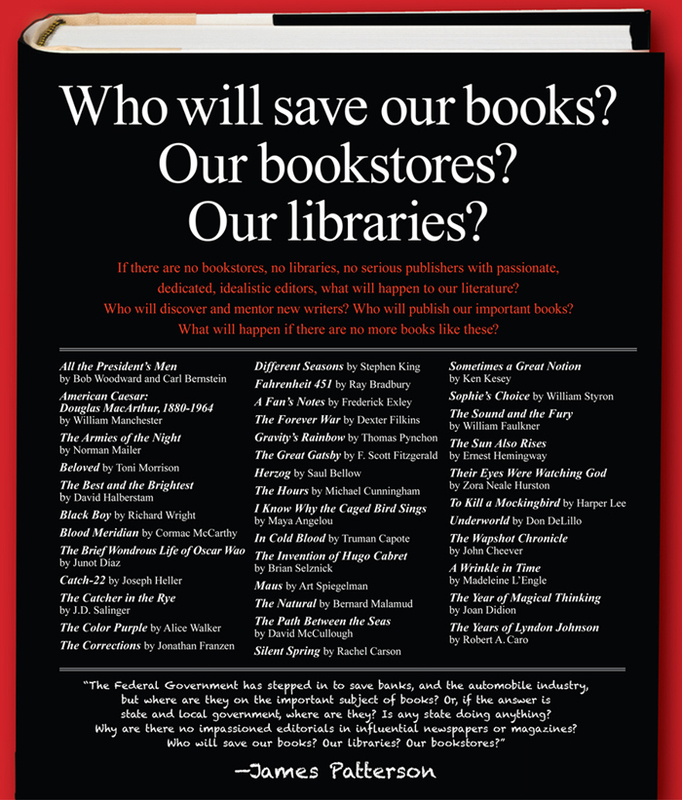 The notion that the national book culture we once enjoyed—a consensus about the books everyone who considers themselves literate should have read—is withering under the assault of disruptive businesses and technologies isn’t simply an exercise in good–old–days revisionism: it’s actually one of the last gasps of the cultural monopolies created by trade publishers during the last half–century. Through a complex web of bestseller lists, influential reviewers, English professors, and book clubs, trade publishers have attempted to create the commercial equivalent of a required reading list. The publishing ecosystem expends a great deal of energy trying to create a sense of urgency by making readers feel they are behind or missing out on the literary cutting edge. While it is true that shared references are a cornerstone of culture, the idea that a book’s importance is best measured by the number of concurrent readers is one that benefits principally trade publishers and booksellers. In the past, writers had to play the commercial lottery of getting published because it was the only game in town. Unfortunately, that system fostered an all–or–nothing mentality: your book was a failure if it wasn’t the talk of the nation. Rejecting a manuscript because it wasn’t, “sufficiently commercial,” meant the trade publisher believed the book wouldn’t sell in the volume they needed to turn a profit. But that judgment took none of the needs of readers or writers into account. An author needs readers, but he or she doesn’t need every reader. In fact, it is not possible to write one book that will appeal to every single reader. What is possible, thanks to the recent explosion in publishing opportunities, is to write things that will be read because the distance between writer and reader is now much smaller. Several weeks ago James Patterson placed an ad in the New York Times Book Review and in Publishers Weekly asking why the federal government "has stepped in to save banks, and the automobile industry, but where are they on the important subject of books?" While many people have taken issue with the notion of a bailout for the traditional publishing industry, I see a deeper issue: what Patterson is really lamenting is the passing of an idealized national book culture. The last question before the list of 38 books he considers important is, "What will happen if there are no more books like these?" What's wrong with me? Why, in terms of Patterson's list, am I so poorly read? Because I was reading other things. There was a time when it mattered what was on television: with only three broadcast networks, you could always find people who had watched what you watched last night and wanted to talk about it. Now with hundreds of cable channels, video on demand services like Netflix, and YouTube, we can no longer assume anyone else watched what we watched. With the possible exception of the Bible, not only is the same true for books, it has actually been a very long time since there were few enough books that one could make any assumptions about what most people had read. What does literary culture mean in the new world of textual abundance created by Amazon and its ilk? Who decides which novels belong in the canon of literature with which everyone should be familiar? The answer is: we do. In the infinite online catalog, we can actually vote (through reviews, for example), for the texts we consider worthwhile. Like democracy, the system isn't perfect, but over time it will tend to work better than tyranny, however benign.